There’s a reason almost every column has the same leaves…In this episode of Vox Almanac, Phil Edwards explores why columns look the way they do — in particular, the leave-strewn Corinthian columns you’ll often see on buildings (both old and new). These leaves actually have an originating myth courtesy of the writer Vitruvius, crediting Callimachus for the Corinthian column design. The acanthus leaves on the column have remained consistent over millennia, and, over time, have come to represent more than just a sturdy plant. 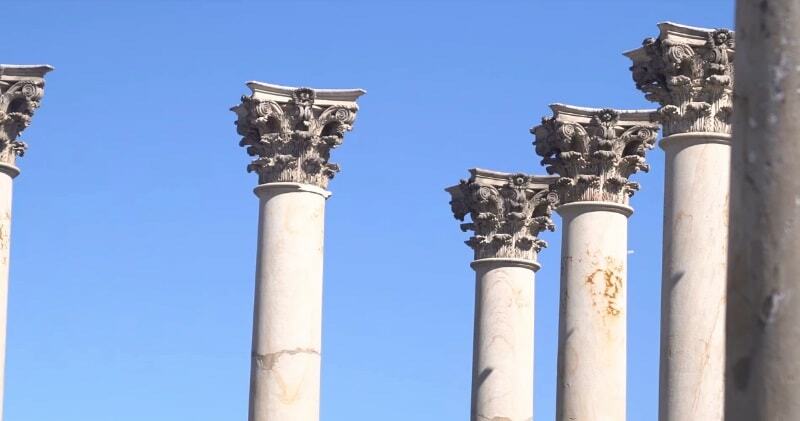 They’re on display in this video at the National Arboretum, where columns that used to sit on the United States Capitol have been relocated. These striking columns aren’t just a historical record — they’re a symbol of how Corinthian design and acanthus leaves manage to endure over time.